Silver Spines is Rob Mazurek’s first solo outing for Delmark. Mazurek, who splits his time between the Chicago Underground (Delmark 503, 511, 521), Isotope 217, and myriad side projects, spent three days in the studio with engineer/producer Casey Rice and recorded 18 original compositions. 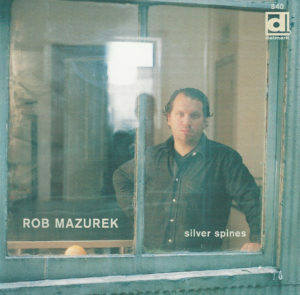 Shimmering, melodic, humorous, and conceptual, Silver Spines may be Mazurek?s most personal recording to date. Dense sound collages, plaintive melodies, and free improvisations flow effortlessly into each other creating a recording as unclassifiable as it is beautiful. Features two collaborations with Casey Rice.